This is a guest post by Katie at Kitchen Stewardship. How many times a day do your kids eat? Sometimes it feels to me like just when I’m finished with cleaning up from breakfast, they’re ready for morning snack and the crumbs from that are barely off the table (ahem, or still sitting there) when noon hits and lunch is required. There are days when I wonder if I’ll ever leave the kitchen! Last summer I decided it was time for my kids to become team players and contribute to the family more, especially when it comes to food. I committed to teaching them to cook, and even though it was slow going at first, we powered through. I can’t tell you what a relief it is when my kids can help out with REAL tasks that don’t actually take more of my time to help them than it would to just do it myself. 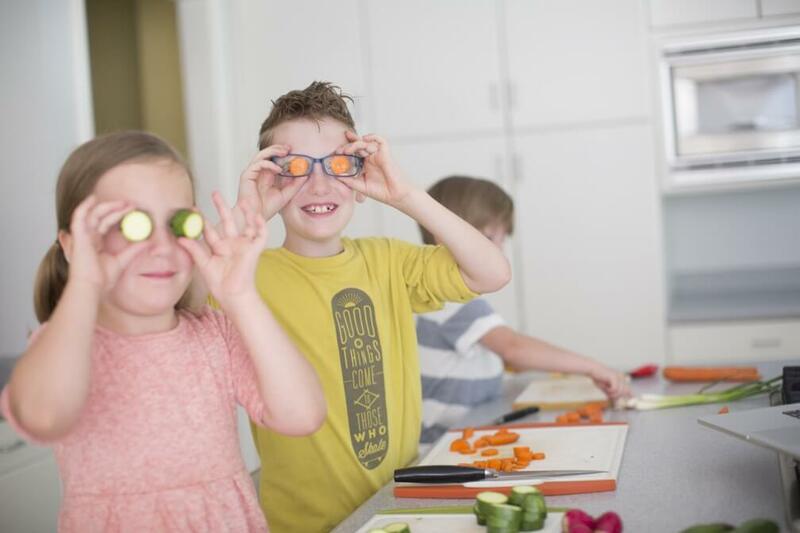 Plus, it’s an absolute joy to have one or more of my kiddos quietly working with me in the kitchen – I treasure those moments and capture every chance I get for a conversation to learn more about their lives. But first, I had to train them! That part definitely took time and care, because I didn’t want to do a poor job and end up with knife injuries. ‘Cause I really want to look like a good parent! My kids and I actually created an entire course to teach other kids to cook (and their parents how to work with them). We teach all sorts of skills, over 30 in all, including how to use dull knives for little kids and moving up to sharp knives for big kids. What Foods are Best for Kids to Cut? If you just let kids cut whatever you have around without being intentional about it, you may end up with a dangerous or frustrating situation, neither of which are your goal here. These foods are very manageable for little ones – they’re not trying to ramrod the knife through something and getting frustrated by failure, and there’s plenty of margin for error. Who cares if the banana or melon slice is too big or too small? This low-risk, high success environment is perfect for building confidence and practicing skills with kids. I use a similar strategy for my older kids (starting about age 6 or 7) when we graduate to sharp knives. First, I want to make sure their techniques are sound (see more on that in the video series! ), so we’ll start with foods that one could cut with a butter knife, just for practice. Then once the child demonstrates that they are being safe with the knife, we’ll move on to more firm fruits or vegetables. You might even start with a banana or melon, just like the butter knife, so that the child gets the hang of it with little risk! You can imagine how much easier a banana is to manage than, say, handing a child a whole apple. Apple = disaster! Once your child has had plenty of experience with a paring knife or short utility knife, and once you are confident in their safety techniques, AND when they have enough strength to manage an appropriate chef’s knife (5 or 6 inches long, no bigger), then it’s time to level up. 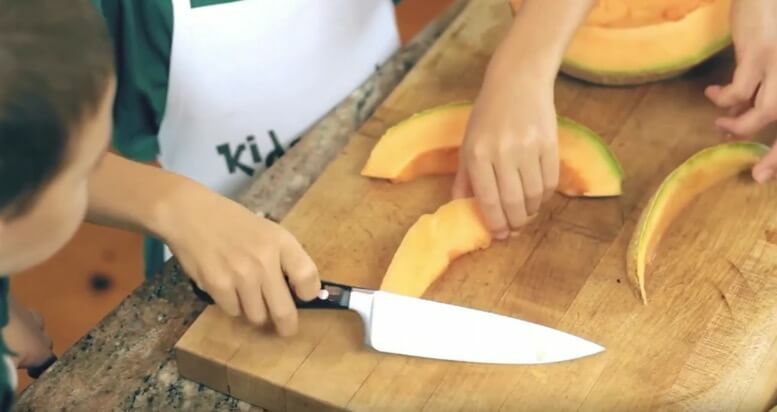 I think it’s important for kids to know exactly where to put their off hand while they’re cutting so that that hand isn’t in danger of the blade, which is why I say medium-sized foods first, especially as the child gets into that Chef’s knife and first attempts more solid vegetables. You want to choose foods that are long enough to give the child a hand-hold far away from the knife and not round (like an apple) – so they don’t roll away and add to the challenge. Then and only then do we move on to roly-poly round things like onions and peppers. 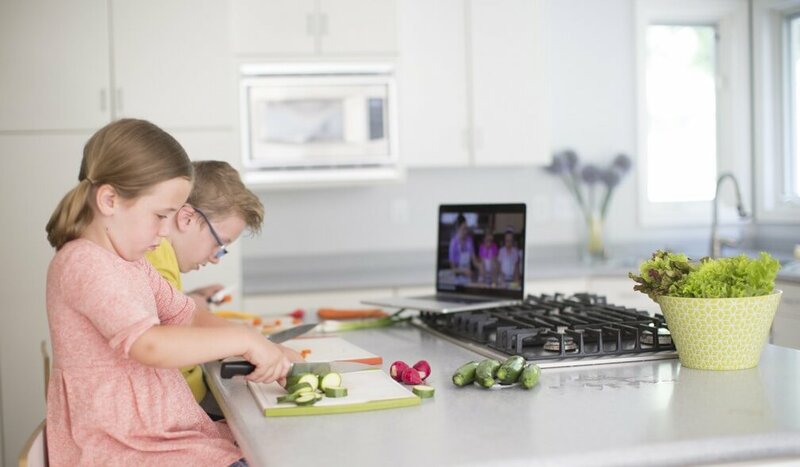 You may find that your kids are ready for this – you have them in the kitchen, and they want to learn more, and you want them to know the right way to cut and prepare. If so, you’ll want to click here to pick the best class for your family. Just doing it. 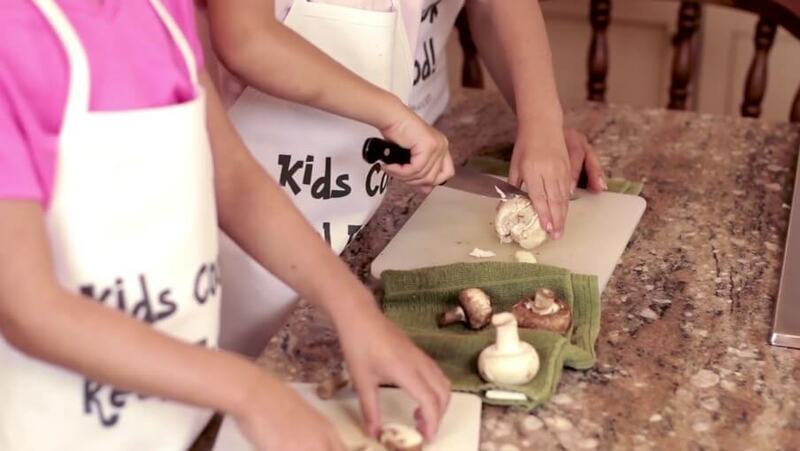 Invite your kids into the kitchen and begin passing on cooking skills, one tiny piece of legacy at a time. 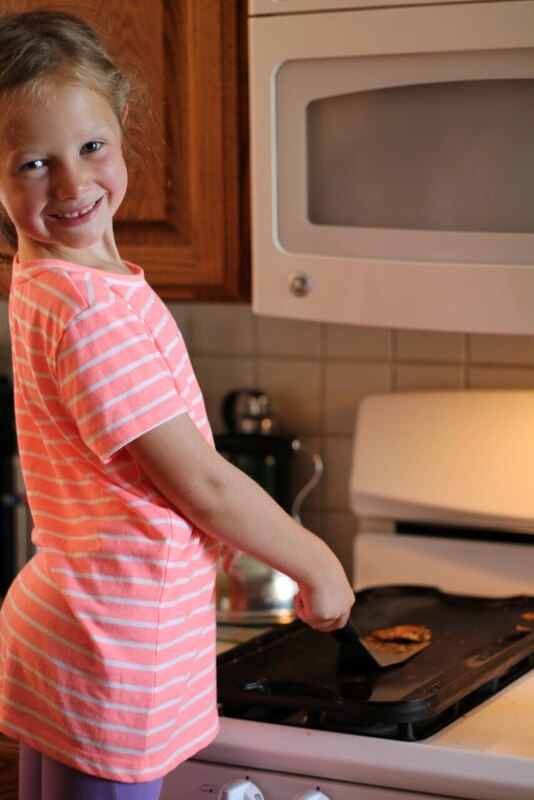 What do you find hardest about inviting your kids into the kitchen?